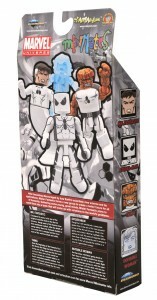 The next Marvel Minimates Box Set exclusive from Diamond Select Toys and Art Asylum will be exclusive to the Disney Store. This set includes versions of Mr. 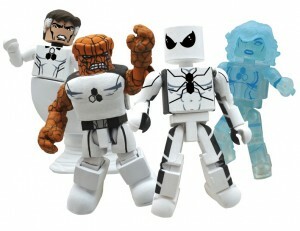 Fantastic, The Invisible Woman, The Thing and Spider-Man in their recent white and black Future Foundation costumes. I’m looking forward to getting my hands on this one too. How about you? 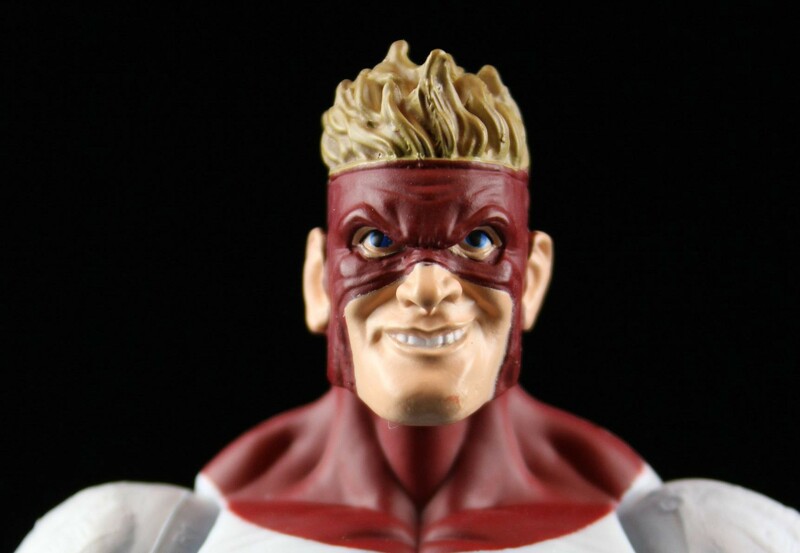 Meet the new FF, different from the old FF! No longer called the Fantastic Four since they lost one of their founding members, the Future Foundation has recruited some of the world’s greatest minds to solve the world’s greatest problems. One of those minds? Brilliant chemist and highly creative photojournalist Peter Parker, the spectacular Spider-Man! 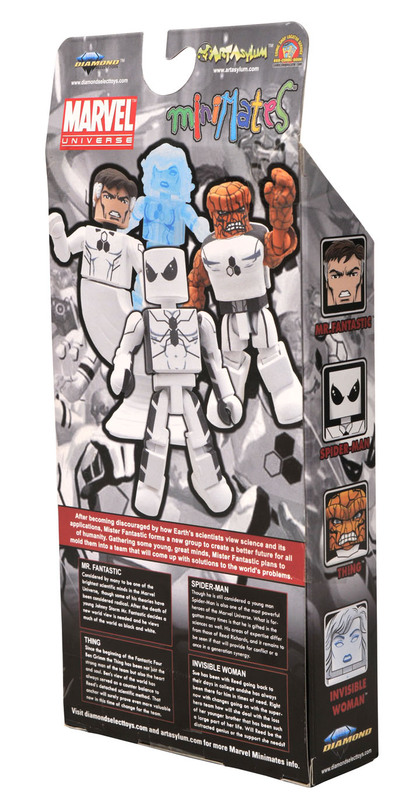 This set of 2-inch, highly poseable Marvel Minimates mini-figures from Diamond Select Toys and Art Asylum captures the new FF in their new costumes, making them the first Future Foundation figures ever! 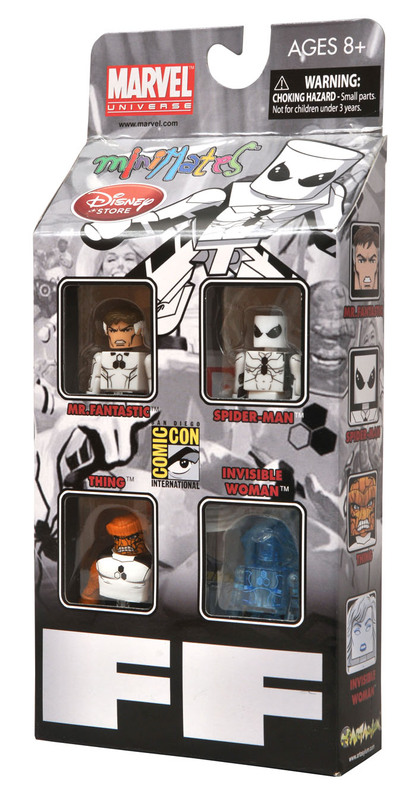 The Disney Store-exclusive set will make its debut the week of San Diego Comic-Con, at the chain’s Fashion Valley Mall location, at 7007 Friar Road in San Diego — only a short distance from the San Diego Convention Center! After that, it will ship to Disney Stores nationwide! Get regular DST updates on Facebook and Twitter! 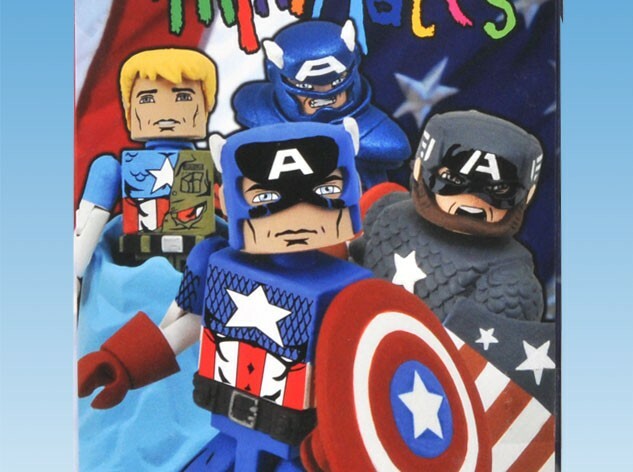 And see more Minimates here! 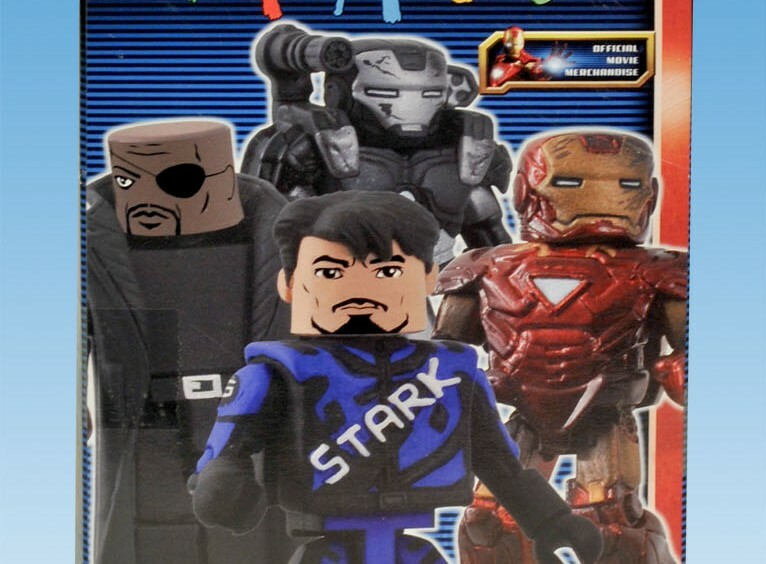 More Iron Man 2 Exclusive Minimates!